Based out of Newport Beach, CA, the client is a two-decade-old investment and acquisition advisory firm with over 250+ transactions to its name. With a focus to reach out directly to business owners and companies, the client works towards helping them align specific investment and acquisition strategies. The client serves to specific sectors within industrial manufacturing and services, distribution, healthcare, energy, consumer, technology, business and financial services, etc. The client also works as a co-investor for specific investment options and offers attractive proposals to streamline lengthy acquisition processes with neatly defined steps. The client has initiated transactions over 85 private equity firms with unique and different funds. 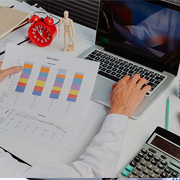 The client involves in thorough market research to obtain ample data on the right investment and acquisition opportunities and requires constant support for various market research related services. They needed two full-time analysts to perform research, gathering contact info, looking through tradeshow lists, cross-checking databases, and to enter the data into a dynamic database, etc. working with them as an extension to their in-house team. They needed a global team to work in their time zone to enable smooth communication leading to well-conducted market research. There were a set of specific tasks that was attached to this research work and posed as a challenge to complete the work within the specified time. Outsource2india has been providing top-notch market research services to its global clientele and with extensive experience and deep domain expertise. Our team is efficient at understanding client requirements and ensures client satisfaction with our research support services. We deployed two-full time employees with prolific research experience background to make outbound calls to validate the available information. We conducted thorough secondary research to collect the required data. Our team worked with the client time zone for three weeks and successfully completed the project. We provided authentic and valid data for each of the companies listed by the client and maintained the database with up-to-date information as per the requirement. Outsource2india's proven global research solutions span a thorough variety of International Market Research, including delving into paid databases like Bloomberg, OneSource, Factiva, and Zawya so that we can access information about private companies not readily available in the public domain. We provide carefully researched business data comprising vital market factors such as key demographic and cultural research, etc. to help clients evaluate their marketing strategies. Outsource2india has been a leading provider of market research services and a host of the research and analysis services to global clients for over 20 years now. Having been in the industry for so long, we have gained enough experience to cater to any of the clients' requirements. Our team comprises of some of the most sharp and brilliant minds who can provide comprehensive market research services. We have multiple delivery centers spread across the globe which allow us to deliver the results within a quick turnaround time. If you are looking for a reliable, efficient, and cost-effective market research service provider, then look no further. Get in touch with us today!